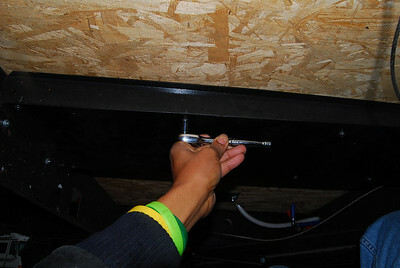 Use a 5/16 socket to remove the small screws that secure the Whiffletree lid. 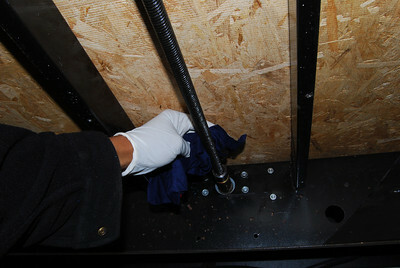 Inspect the Whiffletree and ensure all the cables and bolts are in good shape. 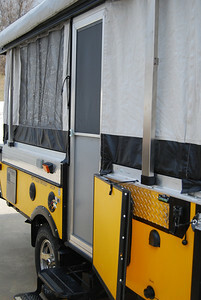 Use a cloth soak with a solvent to remove the old grease. 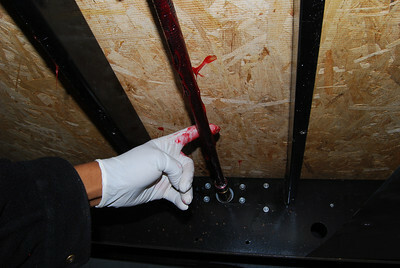 Apply grease with a grease gun to the length of the screw. Wipe the grease along the screw. 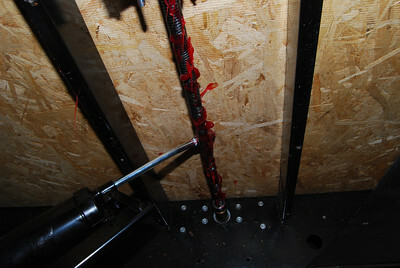 Grease applied along the screw. Replace the Whiffletree cover and replace the screws. 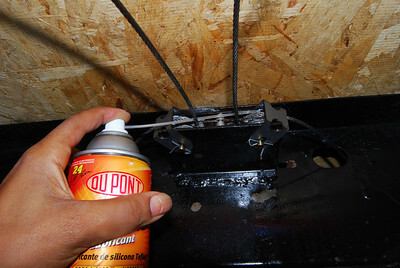 Apply silicone spray to the four pulleys that are on the other side of the Whiffletree. 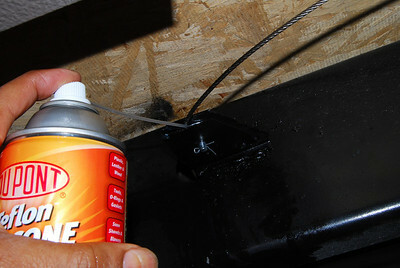 Apply silicone spray to the roof adjusting pulleys. 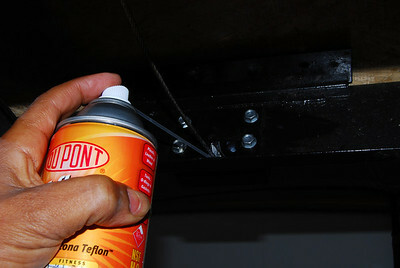 Apply a silicone spray to the four pulleys that are at the bottom of the roof lift assembly. 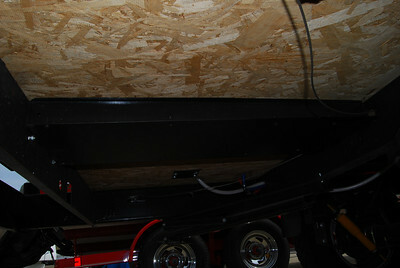 There are pulleys that are inside the roof supports. 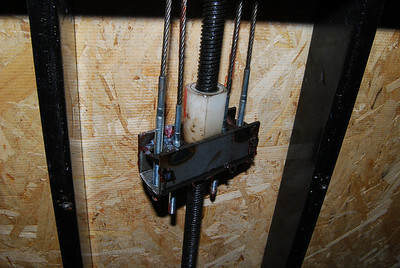 These pulleys should also be lubricated. However be careful and protect the canvas from the spray. 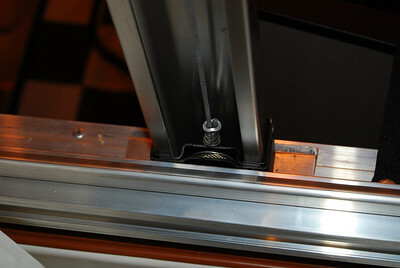 This is the lower pulley - seen from inside the PUP with the tent material removed. 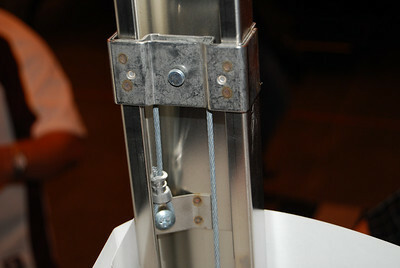 This is the upper pulley - seen from inside the PUP with the tent material removed.